We have announced a fabulous Christmas competition using this brand new app from BrainFeverMedia, to read more about how to win almost $1,000k of prizes, please go here. As well as that, we are giving away promotional codes for Depth Effects. This newly launched app today, retails for $3.99. If you would like to be in with a chance to win a code, we would like you to share this post within your social media channels and also scratch out a comment at the end of this post (on our website) – this will give us your email address and we will then enter your entry into our magical hat and and if you’re selected, you will receive a promotional code to your email address. Depth Effects gives you the power to apply a striking depth of field to any photo. Get DLSR-quality focus and bokeh with simple controls. Choose focus mode, bokeh-shape, and set blur level in a few easy steps. 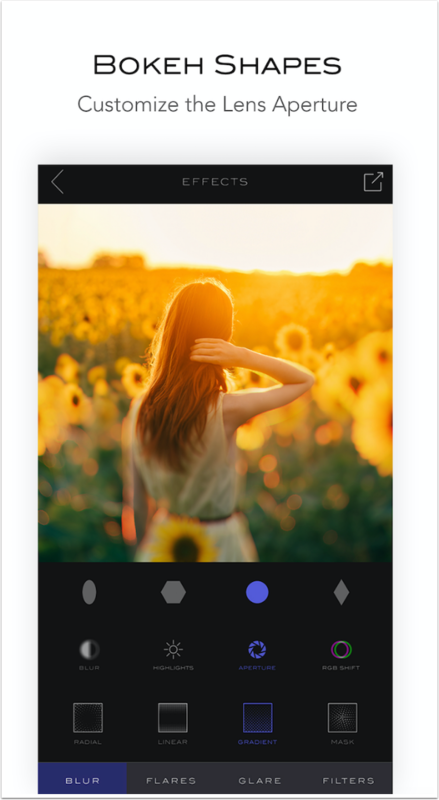 Depth Effects is the only app with anamorphic depth of field and cinematic bokeh. Finalize your photo with stunning flares captured from real lenses to give your photo a professional look. Nothing compares to the beautiful depth and focus of a large format camera with a big lens. Now DpethEffects offers this for anyone with an iPhone. The Ultimate Christmas Mobile Photography & Art Competition Using Depth Effects App – Great Prizes – Including a DxO One Camera! Sounds great! Good luck everyone! Omg, I’ve been waiting for this app to come out, and now that it has, I’m stone broke. Would love a chance to win a promo code! I’ve been with #TheAppWhisperer since day one and it’s still my first go to site and page for all things photography! Thanks so much to Joanne Carter and TheAppWhisperer for all they contribute to the mobile photography movement worldwide!! I so appreciate this! I would love to receive a promotional code for Depth Effects to make use of this awesome sounding app with my artwork. I will share this post with my social media. A promotion code would be great. I also loved seeing a couple of the new gadgets you featured in this contest. This looks like an app worth winning! Pingback: The Ultimate Christmas Mobile Photography & Art Competition Using Depth Effects App – Great Prizes – Including a DxO One Camera! Shared with Twitter. Thanks for the opportunity! Fab Christmas giveaway!!! Depth Effects would be good to experiment with. I’d love to work with this app! Very interesting description, I’d like to see how does it manages the situation against some favorite apps. Looks great Joanne! I would like to try it. I so desperately would like a code to this. Been a long time brainfevermedia fan and have all their other apps and am dying to try this out! Shared this on Twitter as well! I’d like to try it, thanks you. This looks like a pretty cool app! Thanks for all the great job, Joanne. I’d love one of these codes. I can’t imagine iphoneography without TAW. Thank you and happy holidays. Depth Effects sounds like a great app! Put my name in the magic hat please. Happy holidays! Looks like another great app from a great development team. Adding DOF to a photo puts it over the top. Fabulous network of developers and creative people Joanne and “the app whisperer”. I don’t own the iPhone 7plus which is suppose to give you shallow DOF-depth of field. I also have all the products BriainFeverMedia have released through the years. Rock solid apps that do what they say they do. Please drop my name in the hat for a giveway. Thank you to all that that make these give aways possible. Thank you Joanne.